GRC requirements for organizations have increased, and GRC efforts have grown and expanded through almost every department. 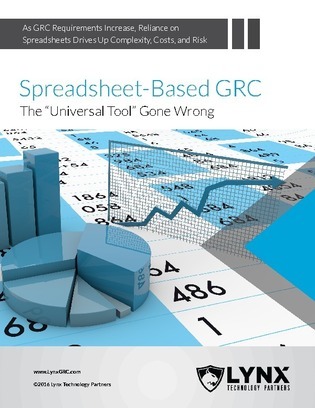 This resource offers insight into the complexity, risks and costs of spreadsheet-based GRC. Uncover best practices for transitioning from spreadsheets to a GRC software tool.